Vancouver Vogue: Look of the Week: It's Vancouver Fashion Week! It's officially Fashion Week in Vancouver!! This is the first time I've been a part of all the action, and it's very exciting. 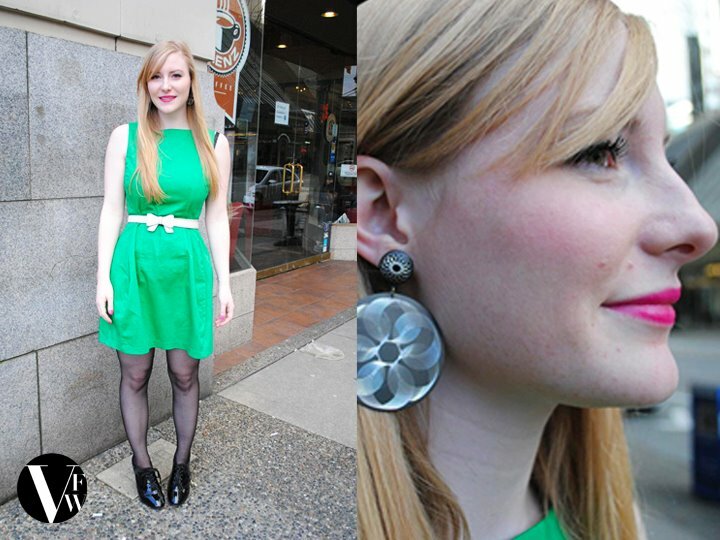 Last Saturday after the Blogger's Clothing Sale I was spotted by the style spies of VanFashionWeek, who featured me on their Facebook Lookbook. And as a result, I won two day passes to Fashion Week for today! I'm so ridiculously excited and actually nervous for tonight. I've never been to a fashion show before, and I've been planning my outfit all week! I'll post photos of the event as soon as I can. Are any of you attending Fashion Week events in Vancouver this year? So cute! I was able to go to the Joe Fresh show here for Toronto Fashion Week. So good! Have fun, and let us know which shows you go to! That trend coach is so sweet!!!! !